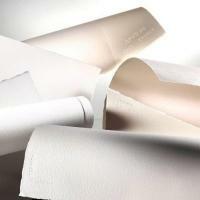 Arches has been making fine art paper for over 500 years - there has been a paper mill at Arches, a village near Epinal in the Vosges, France, since 1492! 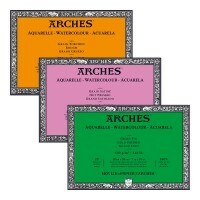 Arches specialise in making superior quality paper, which has been used by artists such as Van Gogh, Matisse, Picasso, Warhol and Lichtenstein - just to name a few! 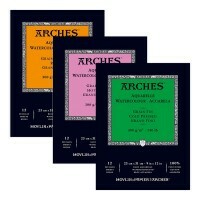 Arches Aquarelle watercolour paper is made in a traditional way, made from 100% cotton on a cylinder mould and gelatin sized to the core. This allows the paints to retain their lustre and transparancy of their colours but prevents the paints from penetrating the paper. 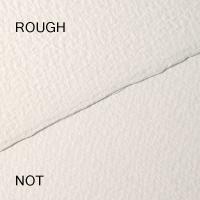 This means that artists can layer their washes and easily remove paint wither wet or dry. 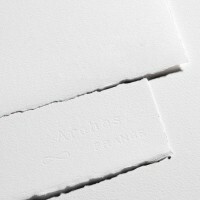 Arches paper can also absorb a large amount of water with little deformation. 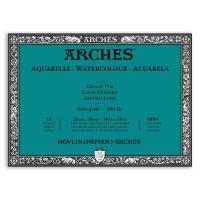 We stock Arche watercolour paper in blocks, pads, loose sheets and a 10 yard roll. 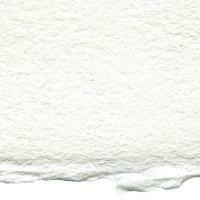 It is also now available in a new brighter colour - the Arches Bright White Aquarelle. 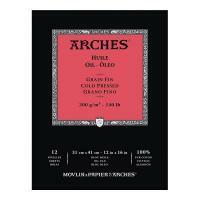 Arches Huile oil painting paper is also 100% cotton and cylinder mould made, but made suitable for oil painting and has a grain similar to stretched canvas. Available in pads or loose sheets.